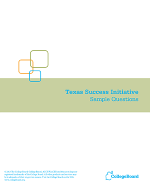 Accuplacer TSI Guide- This guide details the expectations for students on the Texas Success Initiative Assessment Accuplacer, designed by College Board. 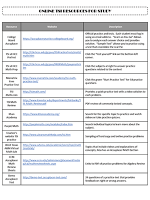 Test Behaviors Checklist- Math- Use this checklist when a student or group of students are not performing as expected on math assessments. 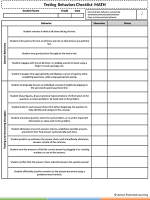 This checklist allows you to monitor a student’s testing behaviors during the assessment to determine whether there is a behavior root cause that must be addressed further. 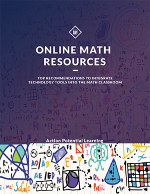 This guide provides all math concepts required for success on the TSI. The first page of this document outlines every concept a student should be familiar with prior to taking the Accuplacer Assessment. 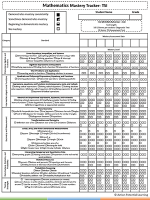 The last four-page breakdown the performance standard by category to more easily track student progress over time. TSI Online Resources- This resource list provides a sample of practice tests and content to access for students who wish to prepare for the TSI.